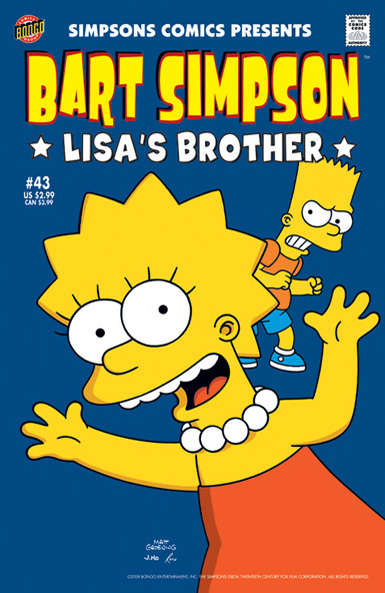 Bart Simpson Comics #43 is the forty third issue of Bart Simpson Comics. It was released in USA in August 2008. 1.2 Lisa Simpson in: Cool Rules! 1.3 Bart Simpson in: Saxophony! Main article: Lisa's Bad Word! Lisa Simpson in: Cool Rules! Modified on December 20, 2017, at 12:17.